So, since I began wearing more eye makeup, I decided it was time to focus on getting some high-quality tools for the job. I realised I was lacking a blending brush and grabbed a couple to compare and review. I'd heard that these brushes were all dupes for each other, but I wanted to see for myself. One of the things that place each of these brushes distinctly in their own categories is the price. The 227 is the most reasonably priced, at NZ $18 from Sephora NZ. The 217 is NZ $48 (!!!) in-store in New Zealand, or just US $24 if you order directly from MAC. The J5523 is only available from the Hakuhodo website for US $19. All of these prices are exclusive of shipping, by the way. I'll have a list of retailers down below for each brush. They all have black handles with a silver ferrule. The J5523 is slightly shorter than both the 217 and 227 and has a more tapered handle. One of the most significant distinctions between the brushes is the quality of hair. 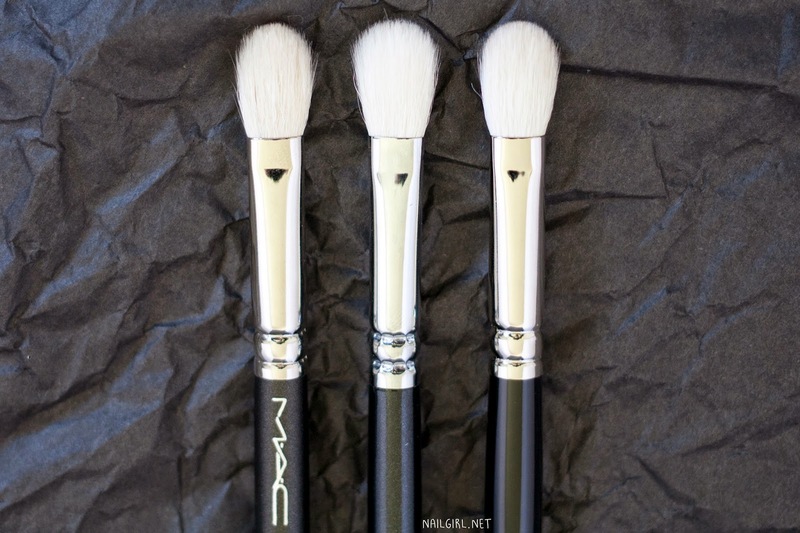 While all of them do contain natural, undyed goat hair, the 227 is made of a blend of goat/taklon bristles, while the J5523 and 217 are 100% goat. Something I noticed about the 227 that the 217 nor J5523 has is an odd texture around the edge of the bristles. I'm not sure how to describe it, but hopefully, it is obvious to you in these next photos. It's weirdly fuzzy around the top edge. You can also see that the 227 is a little more splayed than the 217 or J5523, however, a wash and a carefully placed brush guard would help 'tighten' it a little. Another distinction is the fact that only the Hakuhodo bristles are hand-placed to create the shape of the brush, rather than the hairs being placed and then trimmed - keeping the natural taper of the hair makes the brush much, much softer. All of them blend really well and are soft to the touch when brushed on the back of my hand. However, on the eyelid, there's a clear winner here - the J5523. I always thought people were exaggerating about how their other brushes felt downright scratchy after trying Hakuhodo brushes, but now I know exactly what they mean. It's not that the other two brushes are unpleasant to use (I'll definitely keep using them!) it's just that they can sometimes feel pokey if you go in a little too hard from the wrong angle, which as an eyeshadow noob, I end up doing pretty frequently. I've yet to experience this with the J5523 (and any other of my Hakuhodos, for that matter). 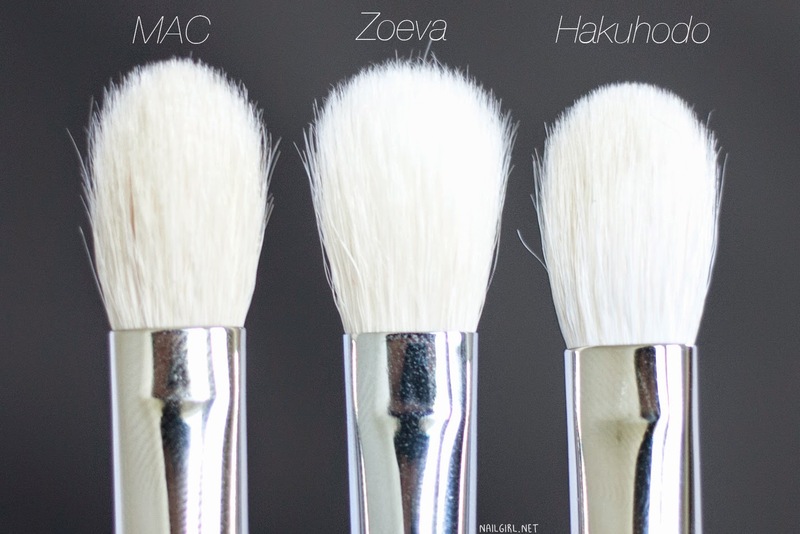 If you're on a budget, the 227 is by far the best choice - it's available from Beauty Bay at such a reasonable price and with free international shipping over $20 - you could easily pick up two, or another Zoeva brush if you wanted. I recommend the 234, by the way! It's very similar to the MAC 239. I wouldn't say the 227 is an exact dupe, but it is a great blending brush for the price. The best brush to get based on quality and price is the J5523 by far. It's not that the 217 is bad, it's just that the J5523 is so much softer and costs slightly (or a lot less) depending on where you tend to shop from. 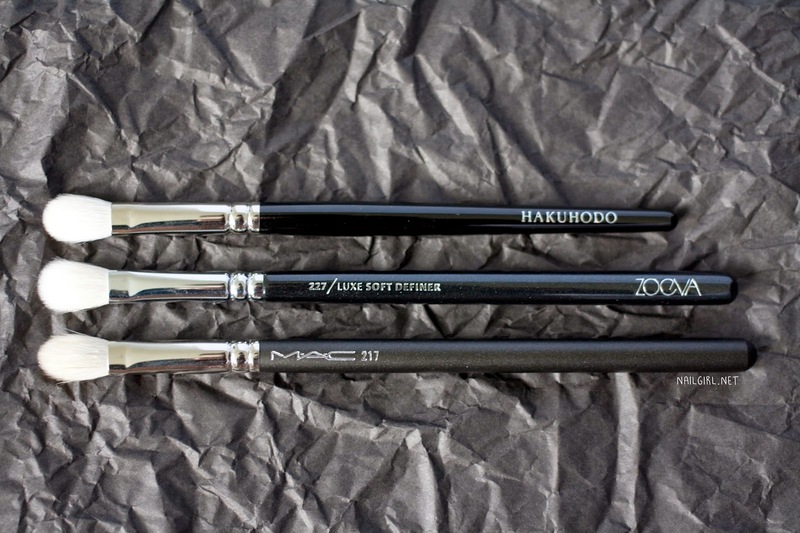 Also, it turns out that Hakuhodo actually has an OEM agreement with MAC, so the J5523 is actually the EXACT same brush as the 217, but higher quality and better priced. What's your favourite blending brush?